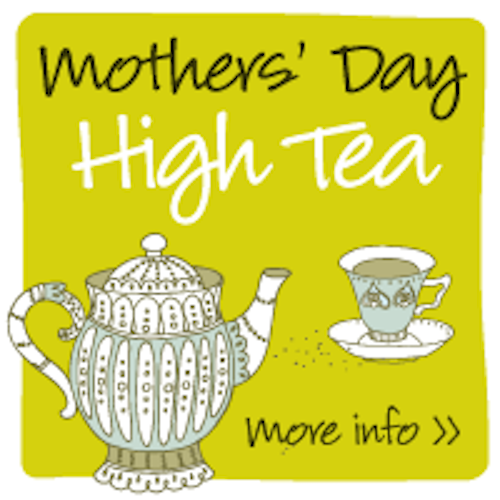 Due to Easter holidays, High Tea for the third weekend in April is available on Saturday April 20th only. For a lovely afternoon, or even a lunch alternative, we offer High Tea at the Pavilion on Saturday and Sunday on the first and third weekend of every month. Enjoy a tiered stand of scones, savouries, sandwiches and sweet treats served alongside premium leaf teas by Webster’s. High Tea at the Pavilion is ideal for any occasion such as afternoon tea with family or friends, birthdays, baby showers, hens parties or as a light lunch alternative. Bookings are essential, with a minimum of two days advance notice (including confirmation of guest numbers) required. Please note, we request a 1/3rd ( 33.3%) deposit to confirm your High Tea booking, which can be refunded if your booking is cancelled within 5 days of your booking date.